Page Six’s Oli Coleman wrote an 88-word story Thursday night that is so good, I feel obligated to give it top billing in today’s morning edition of Dirt Bag. 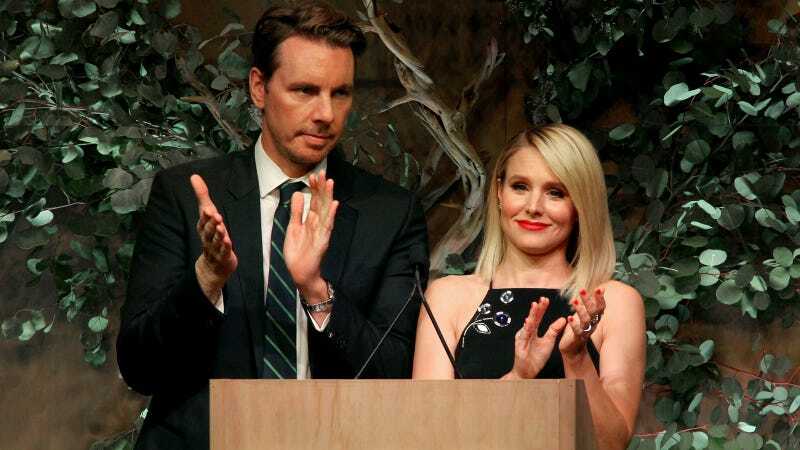 The piece, entitled “Why Hollywood can’t stand Dax Shepard and Kristen Bell,” is a perfect little capsule of celebrity gossip, and one that convinced me of its claim (that Hollywood big shots are sick of Bell and Shepard near-constant oversharing to the press) with stunning brevity. There are no lengthy quotes or attempts to provide multiple sources, just a simple statement (Shepard and Bell have “industry types gagging” at how “embarrassingly overexposed” they behave in interviews and other public appearances) followed by six hilarious examples of the couple’s cringeworthy oversharing (one of which is, simply, “quitting sugar.”) The story then comes to an abrupt end, as if Coleman is saying, “Wouldn’t you be annoyed by them, too?” The answer, of course, is yes. So it was written, and so it shall be believed. Will you please look in the mirror, read this ONTD headline aloud five times, and tell me if something appears behind you? Thanks!